The 305 Half Marathon happens to be my favorite South Florida race. It also happens to be the hardest South Florida races due to the four bridges you run on the course. This race is the final race of my winter half marathon trifecta: Miami Half Marathon (January 27), Princess Half Marathon (February 24), and 305 Half Marathon (March 3). For as hard as it might sound, especially running those two halves a week apart, it’s actually a lot of fun and a great reminder of the strength and resiliency I have as a runner. Going into this race, I didn’t know what to expect. 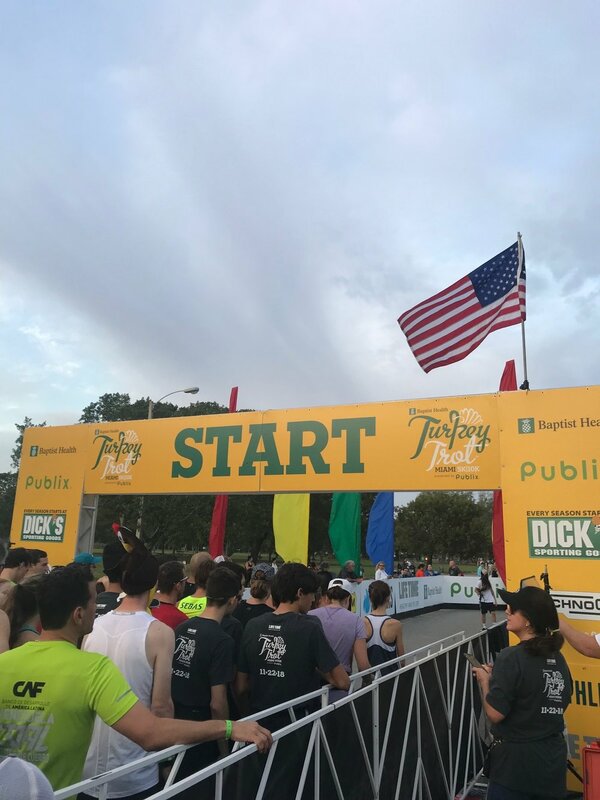 I was so disappointed from my experiences at the Chicago Marathon and the Miami Half Marathon and so high from my experience at Disney’s Princess Half Marathon that I had no clue how to feel about the race; all I knew is that I would know how to feel come race morning. I also knew that in order for me to have a PR-making experience three things would have to work together: weather, mind, and body. Racing scared me and the pressure to perform was weighing me down. I’ve been running for 6.5 years and I still get nervous and fall victim to a “keeping up with the Joneses” mentality when it comes to racing and performing. Jessica encouraged me to see the race not as a “race” but as a “workout.” She reminded me that this “workout” was just another in a series of workouts that helped make me a stronger runner. She reminded me that, while a training cycle works toward a race, a race-day performance can never fully quantify nor qualify the success of a training cycle. So, waking up race day with less-than-ideal weather and feeling less than my strongest self didn’t lead to frustration. There was no disappointment; this was another workout of giving my best with the conditions I faced. It was tough and my brain was on overdrive trying to read my body: Can I keep going? Do I need to walk? But if I walk, it will take longer to finish. Do I need to throw up? Can I wait until I finish to use the bathroom? Nothing turns a person into a crazy overthinker like a runner with a crummy-feeling stomach. In the end, I finished in 1:55:23. I did what I could with what I had. I ran with my heart and finished stronger and more convinced of myself than I started partly because of the 1:55 iRun pacers who pushed me to finish stronger and kick up my feet in the last quarter mile of the race and partly because finishing a race, no matter how many I have done, is always like finishing for the first time and being in complete awe of what can be accomplished when I believe in myself. Running is hard and it will always be hard. I never doubt that I will finish a race, but I do question what skill set I’ll use to get from start line to finish line. In the days since the race, I’ve been told by multiple people to celebrate the shortcomings. Falling short means I’m trying. Feeling disappointed means I care. Coming back to running after I fall short, get disappointed, and have my heart broken means I have no clue how to give up on myself and won’t stop working on bettering myself. Running, with its challenges, highs, and lows is humbling and empowering. Even though I don’t want to run most of the time (waking up early is soooo hard), I am always curious as to the person I’ll discover out there, putting in the work one foot step at a time. Quick and easy packet pick-up. Start and finish lines on Ocean Drive. Beer at the finish line. This is my first year getting a Category medal for having run three races in the series (Turkey Trot, Miami Half Marathon, and 305 Half Marathon). Beautiful course along the water. 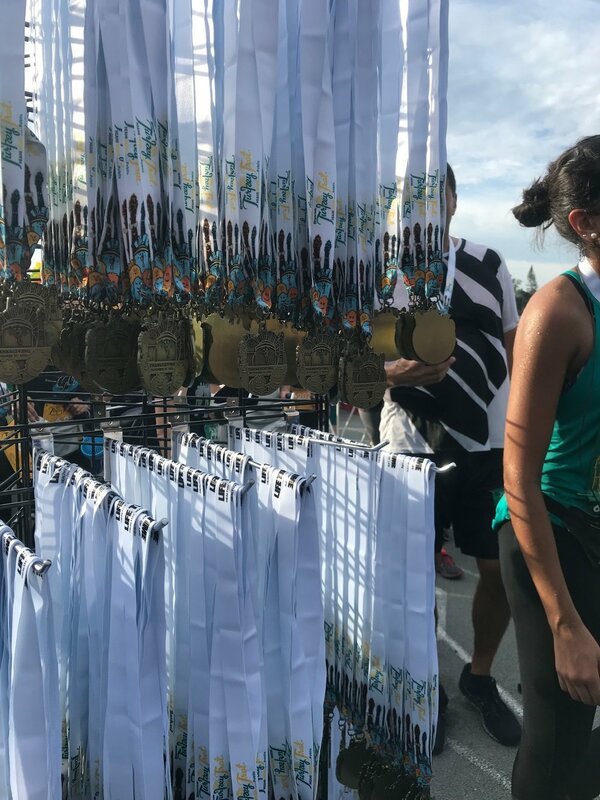 The official finishers medals never made it to the finish line because of a shipping error. Will I do this race again? Absolutely and I can’t wait to see what growth happens from now until 2020. Next up, however, is Seawheeze Half Marathon in August. I’m looking for a fall half marathon (no fall full marathon this year) so send your suggestions my way!